Madame Trautmann, President of the Port of Strasbourg and European Corridor Coordinator for the North Sea – Baltic Sea Corridor welcomed the EGTC to its 6th Assembly Meeting in Strasbourg on 6 November 2017. 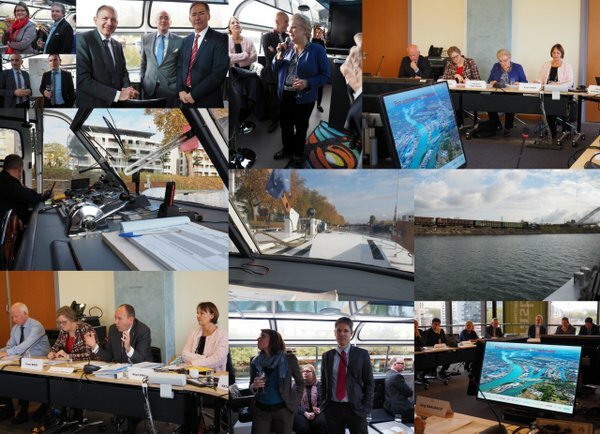 The dense programme of the day included an overview of projects and initiatives in the Rhine-Alpine Corridor and a fruitful discussion on the position paper of the EGTC to the concequences from the Rastatt Tunnel incident from August 2017. The EGTC position paper was also consulted with the Advisory Board of the EGTC that gathered later in the afternoon to its 2nd meeting. Besides valuable feedback to the paper, members of the Advisory Board also gave interesting presentations on their Activities. 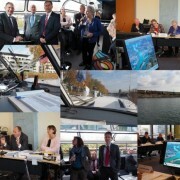 The EGTC members in turn, presented their ongoing projects VitalNodes (Horizon 2020), RAISE-IT (CEF) and ERFLS (CEF).